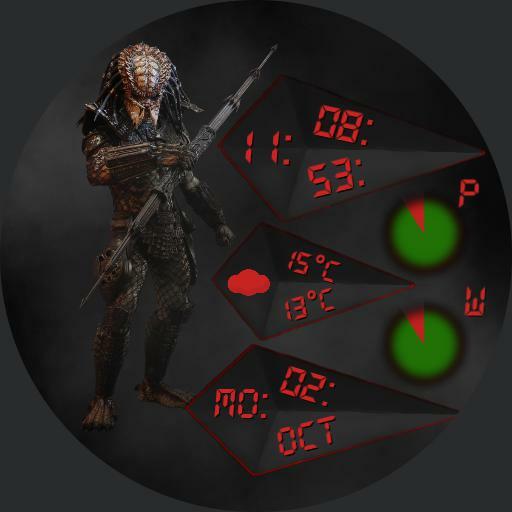 Predator, single face, digital time, date, weather icon, low and high temperature levels, power levels for watch and cell. Dim, digital time only. Gyro effect background.